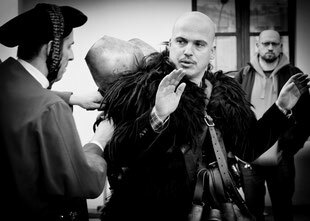 The town of Oristano, located in the middle of the western coast of Sardinia, overlooking the heart of the gulf every year at carnival, relives the splendor of an ancient medieval joust: The Sartiglia. 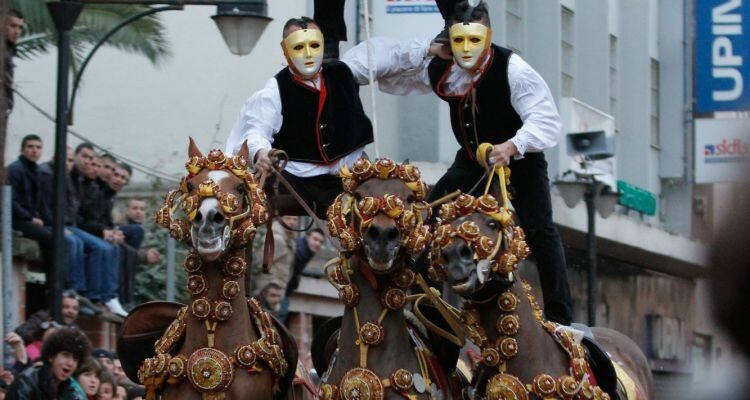 6 DAYS to discover the equestrian Carnival of Oristano and the ancient rites of the Carnival of Mamoiada. The tour starts in Oristano on the route of the Sartiglia. A historical and artistic itinerary during which we will learn more about this beautiful medieval jousting. This beautiful ritual begins early in the morning, announced by an auctioneer on horseback, accompanied by the sound of trumpets and drum roll. 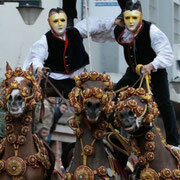 The covering Componidori ceremony marks the beginning of the Sartiglia. 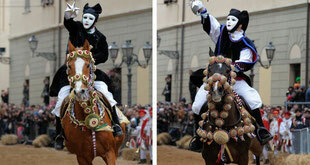 This knight, with a wooden androgynous mask, ride the horse race dressed in traditional costume. He is the true protagonist of the Sartiglia.artiglia. Ce chevalier, avec un masque androgyne en bois, pilotera la course à cheval habillé en costume traditionnel. Il est le vrai protagoniste de la Sartiglia. On Monday, we go to Mamoiada, an hour of Oristano. 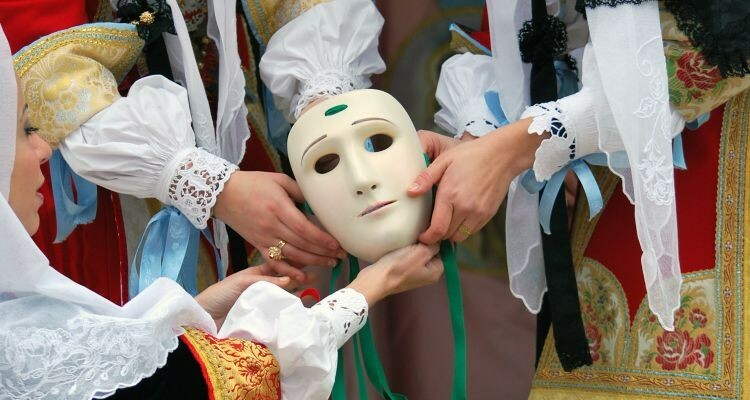 This is where we will attend one of the most famous folklore events in Sardinia. 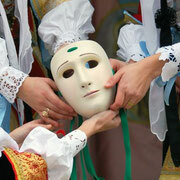 We can admire the Mamuthones and Issohadores, the traditional carnival masks of Barbagia. On Tuesday morning, back in Oristano, we're going to trim the Componidori, the King of the Sartiglia. In the afternoon, a hundred twenty knights, in groups of three, standing on the gallop 3 horses by making reckless acrobatics, giving rise to a unique spectacle: the Pariglia.